CBRE and Colliers International have joined forces to market three prime development sites in the Melbourne CBD, which have a combined value of $75 million. They represent one of the most impressive portfolios to go to market in Melbourne for more than a decade. CBRE Melbourne City Sales Director, Mark Wizel, said the portfolio has attracted many active buyers from a range of local and off shore developers and land bankers. 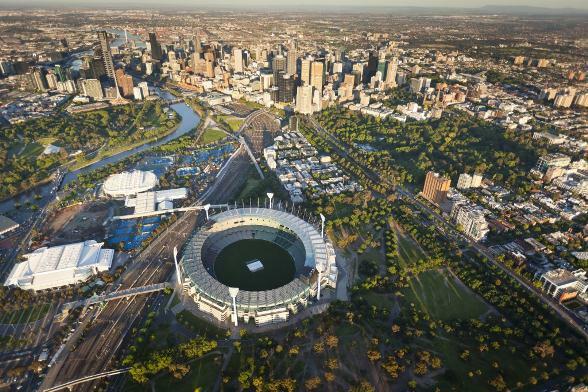 “Over the last two years the Melbourne CBD has seen over $600 million of development site acquisitions from Malaysia, Singaporean and mainland Chinese groups resulting in strong growth in prices being achieved for well-located development sites,” said Mr Wizel. The first property on LaTrobe Street is valued at $40 million, has an area of 3,197 square metres, is located opposite the CBD’s largest shopping centre, includes a 10 storey basement car park and two floors of retail shops. The MacKenzie Street property is valued at $20 million and comprises 388 apartments across 35 levels, and 151 car parks, totaling 2,036 square metres of space in one of the CBD’s most sought after precincts. The last property includes a 1,548 square metre, two-level warehouse and is valued at $16 million. Colliers International Managing Director, John Marasco, said Melbourne’s inner city population has increased 6.1 per cent over the past five years, highlighting the driving demand for CBD residential accommodation. “Therefore, high quality sites in prime Melbourne CBD locations are becoming scarce and difficult to acquire which no doubt is also being driven by the consistently strong performance of the high rise residential apartment market that continues to attract buyers both locally and from abroad,” Mr Marasco said. The properties are to be sold individually or in any combination and are for sale by International Expressions of Interests, closing Friday June 21 at 3pm.